So you’re ready to finally get toned. Whatever your reason is, you’ve come to the right place! The topic of how to get toned is actually a little more complicated than you might think. For starters, “getting toned” probably doesn’t mean what you think it does. And most of what you read in magazines and see on TV about how to do it is just flat out wrong. 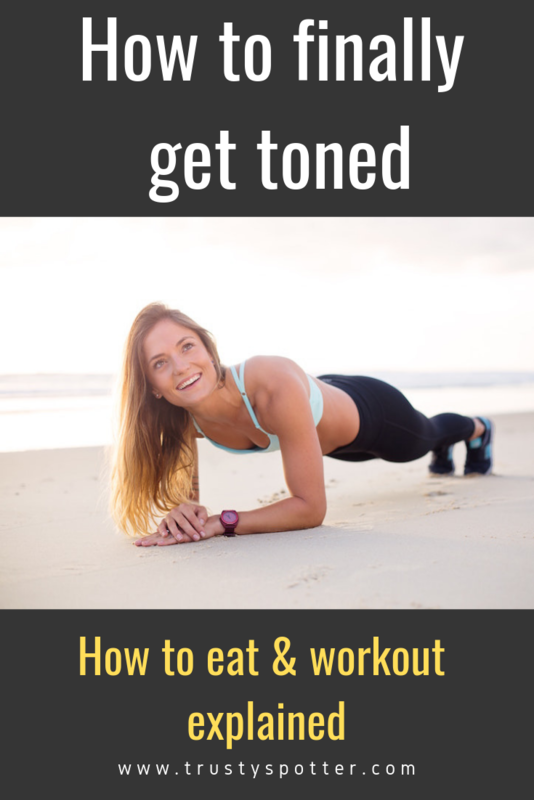 So we’re going to dive in deep on the lean and toned look, how to achieve it, common myths, and exactly what you should be eating and doing in the gym on your way to Tone-ville. What is toning (and is it real)? What is toning (and is it even real)? The biggest myth and mistake that people make is thinking that toning is one, singular thing that you can do. In other words, it’s a pretty common belief that using light weights for high reps tones your muscle, while lifting heavier weights builds bulk. And we don’t need a lot of complicated science to prove it, just common sense. A muscle can only get bigger or smaller. Challenge the muscle with new loads, higher reps, and heavier weights (which will make it grow, assuming you’re eating enough of the right foods). This is called progressive overload. Those are really your only options. Doing super high reps with small weights can build some muscle size (as long as you’re going close to failure), and it will definitely increase your muscle endurance. But it doesn’t have some magical effect on the shape of your muscles. When people talk about tone, what they’re really talking about is definition. Definition is the combination of the size of a muscle PLUS the amount of fat covering it. Key research note: Studies show that lifting light weights can build just as much muscle as lifting heavy weights in beginner and even intermediate lifters, provided you’re going close to muscle failure (meaning, you get to a point where you can barely lift the weight even one more time.) It’s the total work volume that drives muscle growth the most. It means it’s actually totally fine if you’re not comfortable challenging your body with really heavy loads quite yet. Just make sure that you’re pushing close to muscle failure. Lifting weights should be HARD! Pumping out a few sets with 3-pound dumbbells probably won’t do much. Your target for higher reps should be maxing out somewhere in the 15-25 rep range. If you can just keep lifting and lifting beyond that, the weight is probably too light to stimulate any growth. Honestly, the majority of us will see the best and quickest results losing a little bit of fat and retaining our existing muscle mass through lifting weights. This will reveal the muscle definition underneath as your bodyfat percentage gets lower. However, if you’re already extremely skinny or thin and don’t like the way it looks on you, consider trying to put on some muscle first. I’ll go into the details and how those approaches differ shortly. Is there a difference between toning in males and females? There will be a few key differences in the overall experience over time, however. But… with proper nutrition and training, women can build muscle just as effectively as men can. Lower testosterone levels be damned. All of us have a natural limit of how much muscle we’ll ever be able to add to our frames (unless we’re on steroids). Female frames are just designed to sort of max out a little earlier, especially when it comes to muscle in the upper body. If you’re just looking to tone up for the beach, it’s extraordinarily unlikely you’ll end up getting too bulky even if you lift heavy and get a lot stronger. Key research note: Women have less testosterone than men, which is a key driver of muscle growth. However, they usually produce more HGH (human growth hormone), another super important driver. Women tend to store more body fat, in part, as the body’s preparation for pregnancy and lactation. It’s a simple biology thing. This doesn’t necessarily mean it’s going to be harder for women to get leaner or lose weight. Because of the way fat is distributed differently on our bodies, it just means that men and women will have different bodyfat percentage targets for the lean, toned look. Men will typically need to be anywhere from 8-12% bodyfat to see visible abs. Women will need to be somewhere from 16-20% or so. In practice, this difference isn’t all that important. 10% isn’t a realistic target for most women because of basic physiology. Key research note: Women will often see weight fluctuations of plus or minus several pounds on a day to day basis due to hormonal shifts. This is normal! To avoid the frustration it’s best to weigh yourself slightly less often. Like I said, lifting weights and building muscle isn’t all that different for men and women. However, let’s be real. Men and women will often have very different ideas of the ideal body they want. Everyone’s different, but that’s probably not the look most women are going for. This is where it’s a great idea to find a workout program that’s geared toward your specific physique goals. And here’s the program I recommend for most women. They say great bodies are built in the kitchen. I don’t care what you’re doing in the gym. If you’re not backing it up with the right food decisions, you won’t get results. There’s obviously a lot more that goes into it. But that’s the basic formula. Now here are a few more things to keep in mind, regardless of whether you’re trying to lose fat or build muscle first on your way to a lean, toned body. This is absolutely critical and can completely derail your progress if not done right. And it’s probably a lot more than you’re used to eating! The sweet spot according to most research is around .8-1 gram of protein per pound of bodyweight per day. So if you’re 150 pounds, you should be eating around 120-150 grams of protein every day if you’re lifting weights and trying to get toned. That is QUITE a bit, and it can be really easy to come in too low. Look, every diet guru out there has an opinion on this. Some diets SWEAR carbs are the devil. Others blame everything on too many fats. The rest of your calories should probably just come from a solid balance of healthy carbs and fats. The problem with really intense or crash diets designed to help you lose weight as fast as possible is that they’re almost impossible to stick to. What person can realistically eat 1000 calories per day for an extended period of time? Even if you could do it, you’d probably end up obliterating your willpower along the way and ending the diet with a huge binge. Make sure it’s something you’ll be able to stick with consistently for a while. The safest and most permanent way to lose weight is to lose about 1-2 pounds per week, according to the CDC. Go too extreme and you’re more likely to gain it back. That speed of weight loss amounts to a deficit every day of about 300-500 calories. You can find this number by multiplying your bodyweight by around 12. Conversely, if you’re looking to add muscle and “dirty bulking” (or eating whatever you want without regard for calories), you might have trouble sticking with that as well. Poor nutrition and too many calories will take a toll on your body just as too few will. OK, now it’s time to set it in stone and come up with how exactly you’re going to eat on your way to a toned body. It’s really up to you which order you want to go in. Again, for most people who want the lean, toned look, I’d suggest jumping right into a fat loss or “cutting” phase and shedding unwanted bodyfat. It’ll have the quickest impact on how you look and feel about your body, in my opinion. is through strength training (aka lifting weights). Wait, doesn’t cardio tone your body? It’s GREAT for your heart, lungs, endurance, and for burning a ton of calories. Which can be a good thing for weight loss. But it doesn’t preserve muscle mass (low-intensity steady-state cardio, aka long runs, jogs, or biking at the same speed can actually eat away at your muscle). It usually doesn’t have as much of a positive impact on your body composition as you’d think. Lifting weights has a bigger impact on your muscle to fat ratio, which is the primary driver of tone and definition. It also boosts your metabolism so you burn more calories naturally every day. When I first stepped foot in my gym’s weights section about 2 years ago, I had NO clue what to do, except for this free guide from Nerd Fitness which helped me get down the basics. If you want something a little more involved that also walks you through exactly how to eat and what movements to do for the physique you want, check out all of my workout program reviews. Should you use light or heavy weights for toning? You’ll see lots of different opinions on this. The myth is really popular in the media and magazine-world that lifting low weights for very high reps is best for toning. On the other hand, big-time meatheads will tell you that you MUST lift as heavy as possible to build muscle. The truth is really somewhere in between. As long as you’re pushing yourself and bringing your muscles close to failure on every exercise, you should be getting enough growth stimulus. Just remember to utilize progressive overload: Over time, you should be adding weight, reps, or decreasing the rest time on each of your lifts. Can you use bodyweight exercises for toning? Are fantastic for sculpting your physique. The same principles of progressive overload will apply when you’re just using your bodyweight. Here’s a free, simple bodyweight routine you can use at home to get started. Action Item: Put your workout plan and nutrition strategy together. And get to work! 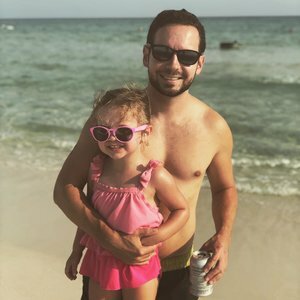 Hopefully at this point you’ve decided on what routine you’re going to use, whether it’s one of my top recommendations, or any number of free workout plans you can find online. You should also have decided if you’re going to try to cut some fat off first or go right into building some lean muscle. If you’re lean bulking (eating in a small calorie surplus while lifting weights) you should expect to see rapid strength gains, especially if you’re just starting out. If you’re cutting or losing fat (eating in a small calorie deficit while lifting weights), beginners should expect to gain some strength but the primary goal here is to maintain strength and muscle mass in order to increase tone and definition. OK, so, you’re on a lifting program. You know what to eat. One thing to remember is that you can’t spot reduce fat. You can lose fat from your whole body, and it will come off of various areas at different rates depending on how your body likes to store it. So you can’t force your body to lose fat directly from your arms. Remember, it’s the combination of building or maintaining lean muscle in your arms PLUS overall fat loss that will allow you to see better tone and definition in your arms. Key research note: Some newer research suggests that high volume weightlifting for a targeted area followed by 30-minutes of low-resistance cardio could have SOME effect on spot-reducing fat in that area. It’s far from conclusive, but could be worth a try. But there are dozens and dozens of other choices you can substitute into your training or supplement with. If you feel like your legs are getting too big, muscular, or bulky from squats or other leg strength training, you can always take some time off from training them. Or reduce how often you train them. Or stop trying to advance with progressive overload and just continue working with your current weights for a while. This is what everyone cares about, right? IF ONLY doing endless crunches and sit-ups would give you that flat stomach you’ve been craving. Unfortunately, as we know, spot-reducing fat in any specific area is extremely unlikely. … driver of a lean and toned stomach is having a low bodyfat percentage. That’s just the truth of the matter. That should be all you need for a toned mid-section ONCE your bodyfat percentage is low enough. You can have abs at a higher bodyfat if your ab muscles are really thick and well-developed. But for most of us, the quickest and fastest way to a toned stomach will be to drop a significant amount of fat. Men will be able to see abs when they’re somewhere aroud 8-12% bodyfat. Women will need to be around 16-20% or so. Keep on going with your diet and nutrition strategy, and keep on building strength and muscle in the gym, and you’ll be well on your way. The above sounds like a lot of damn work. Which workout program will you do? What diet strategy should you use? How do you improve “problem areas”? But if you just want to distill everything into its very essence and learn the fastest way to get toned, here it is. 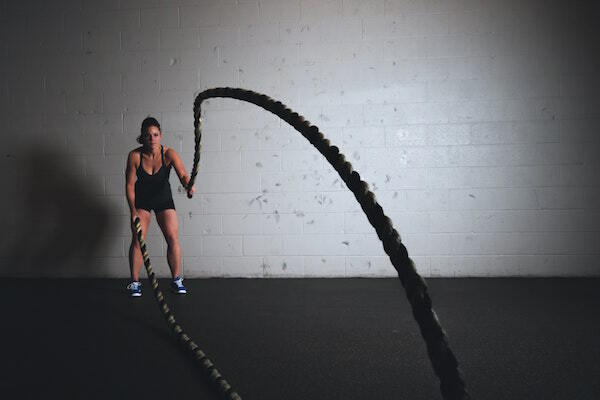 Losing fat is the quickest way to improve your physique and look more toned, provided you’re strength training to build or maintain muscle mass. It’s not the answer people want to hear because it involves getting your diet and nutrition locked in. 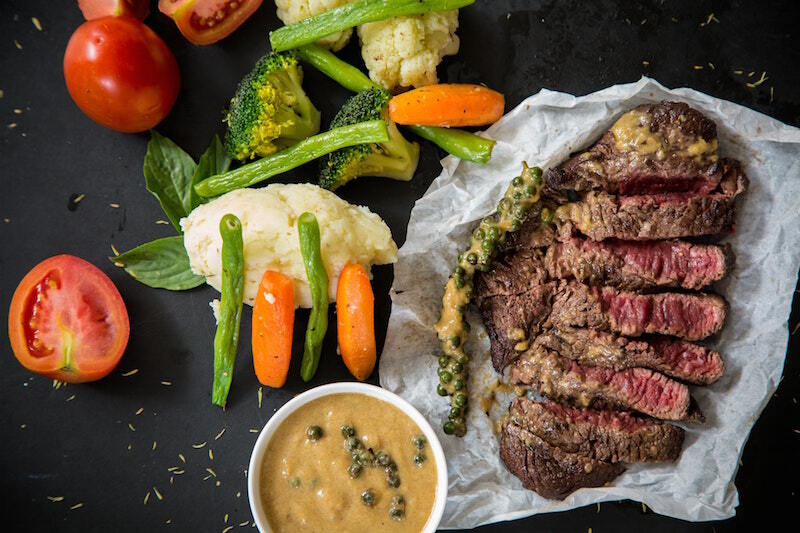 To get toned and see definition as fast as possible, I’d start eating a high-protein diet at an aggressive (but safe) calorie deficit of about 500-600 calories per day under maintenance. Then I’d do enough weightlifting in the gym to maintain muscle mass but wouldn’t work out so much that it made me feel weak, hungry, and famished. At that rate you’d be losing around 1-2lbs of almost pure fat per week, and maybe more in the beginning. If you’re interested in an affordable program that tells you exactly how to do this, what exercises to do, how often, and how to eat every day, check out Aggressive Fat Loss — it’s absolutely fantastic and the simplest way I know to get toned, fast. 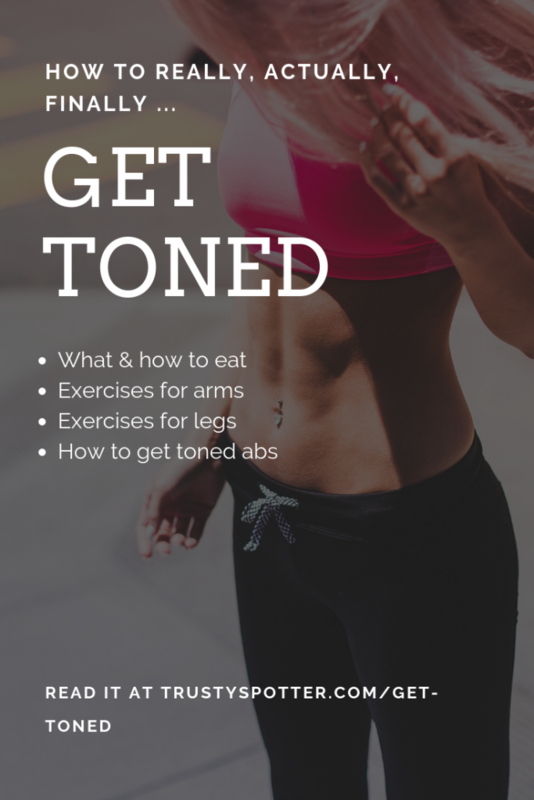 I hope this guide on how to get toned is helpful for you. I’ve tried to link and document all of my sources as much as possible. Just remember, in the end, that “getting toned” isn’t ONE thing. It’s really two things: It’s lowering your bodyfat and building or maintaining your muscle mass. Challenge yourself in the gym and work your muscles hard, eat enough protein, and you’ll be pretty amazed at what starts to happen to your body. And above all, learn to love the journey and love who you are at this very moment. Six pack abs won’t make you happy all on their own, but they can make you extremely proud of yourself and how far you’ve come.